I should probably begin by explaining where am I coming from. I am a clinical Psychologist who worked for many years as a therapist in an “in person” traditional psychodynamic setting. Ten years ago, I started my second global nomadic adventure at the time where online therapy was just an experimental idea. While this idea continued to grow, I couldn’t imagine myself working without sitting in the same room with my clients. It took me years, numerous life experiences and, most of all, overcoming my own resistance to dive into the developing world of online coaching. The most common answer is related to language. 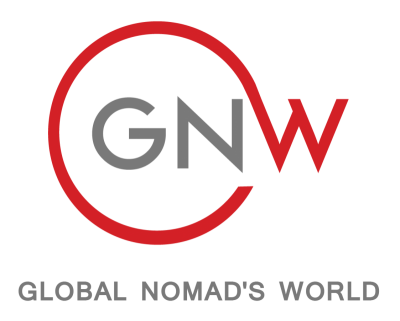 Most of the global nomad clients who choose to work online are doing so because they can’t find a professional who can speak their language in their location. It is very understandable, crossing cultures is complicated enough; so seeking for the comfort of communicating in your mother tongue is very natural. During this last ten years, I was forced to challenge many of my basic assumptions about the nature of helping people and the cycle of adjusting to a new culture. The language barrier was one of them. But, what do we really mean by language? Some time ago, during a first meeting with a potential new client, as usual, I asked about their online service preference. The client was a native English speaker, living outside of her passport country but in a place where professionals in her native language were available. As English is not my native language, it seemed to make sense to offer to connect her to some colleagues in her location. It was here, in that moment, that I learned a very meaningful lesson. She was very convincing and she was right. A language is more than a vocabulary of words; it is a vocabulary of emotions and experiences. For her, knowing that wherever she will be, I will be available and that we both speak the language of a third culture; the language where all the commonalities of those living a global nomadic life is shared. This is our “mother tongue”. When using the term “third culture” I refer to the term that was coined by Ruth Hill Useem, a sociologist from Michigan State University,in the late 1950’s. Useem called it “third culture or “interstitial culture”. In her work the term first culture refers to the home or passport culture of the parents. The term second culture refers to the host culture to which the family has moved. The term third culture then refers to a way of life that is neither like the lives of those living back in the home culture nor like the lives of those in the local community, but is a lifestyle with many common experiences and feeling shared by others living in a similar way. “Listen and learn for they have much to teach you. Do not assume anything about their world. I learned my lesson that day and we embarked into a meaningful journey for both of us.